Share the post "Discover Old World Charm at the Elite One&Only Ocean Club in the Bahamas"
Once the private estate of A&P heir Huntington Hartford II and the secret escape of the world’s privileged, the ultra-luxurious resort One&Only Ocean Club, nestled on Paradise Island, is renowned for its legendary sophistication and contemporary elegance. 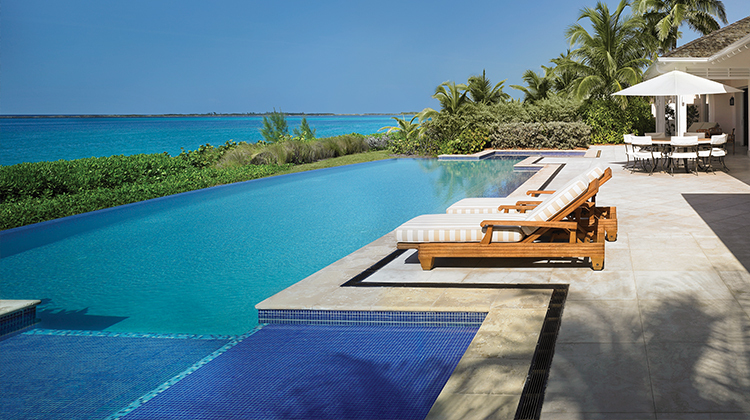 A member of the esteemed One&Only collection — which currently encompasses eight high-end properties in destinations around the globe, with more on the way — it is no surprise that this Bahamian outpost is a favorite among discerning travelers, known for the brand’s signature first-rate and unobtrusive customer service, catering to every guest’s whims. 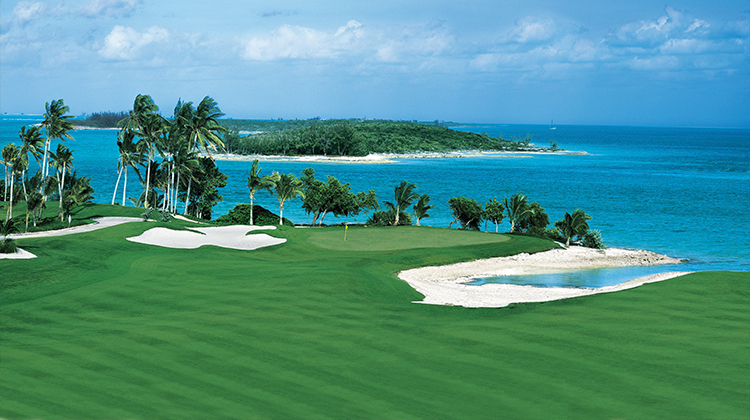 The resort is a playground of sorts for the elite, boasting world-class tennis on six Har-Tru courts, an array of watersports amid some of the most beautiful waters in the Caribbean, a state-of-the-art spa and fitness center, and championship golf on the 18-hole Tom Weiskopf-designed Ocean Club Golf Course. There is no shortage of guest accommodation options, all perfectly tailored to suit the needs of every traveler, and each offering the personalized service of a butler for the duration of one’s stay. 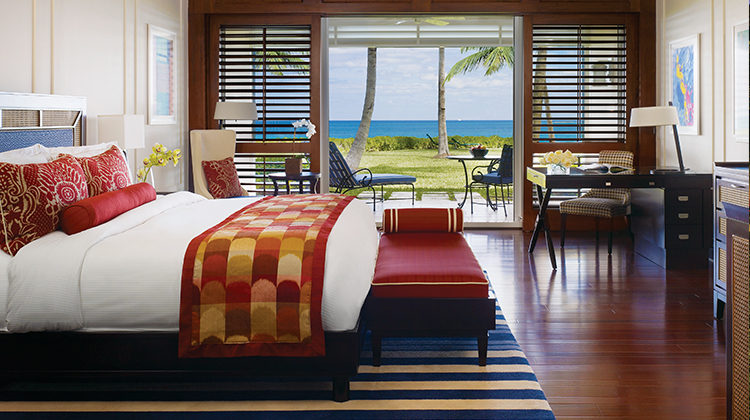 The five two-story buildings of the Crescent Wing offer luxury guestrooms and suites, all with commanding views of endless beach and ocean from a private balcony or terrace, while the two-story Hartford Wing possesses ocean- and garden-view rooms with classic colonial architecture. The property also houses three spectacular private villas, each comprised of more than 4,400 square feet of living space, private infinity-edge lap pools, state-of-the-art fitness equipment and landscaped gardens. All guest accommodations feature beautifully upholstered mahogany furniture and headboards; luxurious Frette linens, towels and bathrobes; pillow menus; sliding louvered doors that open onto private balconies or terraces; a mini-bar stocked with essentials; 24-hour room service; and the latest cutting-edge technology. Amenities in the private villas include everything from a personal chef to iPods with customized playlists and special VIP children’s programs. One&Only Ocean Club offers sumptuous cuisine day and night, most notably at Dune, the chic beachfront restaurant by internationally renowned Chef Jean-Georges Vongerichten. The 150-seat elegant eatery, designed by interior designer Christian Liaigre, is set literally in the dunes serving an innovative blend of French-Asian cuisine infused with local influences. The resort also recently introduced weekly Thursday-night Bahamian barbecues to its already extensive list of dining options. These specialty nights offer guests a casual, ocean-view setting featuring live action stations and a buffet of fine cuisine. 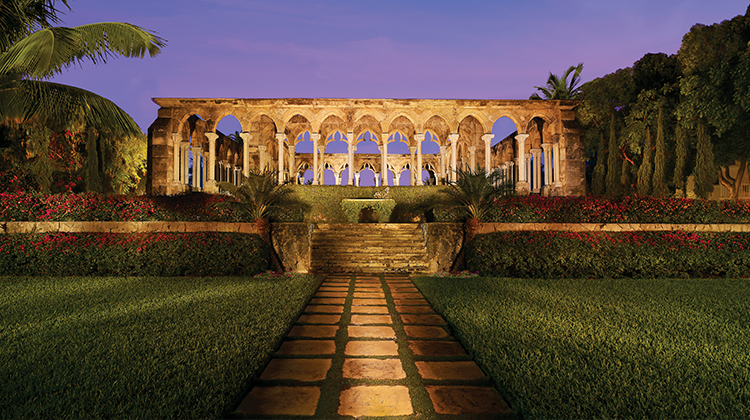 Arguably the most unique and notable aspects of the luxe property are the terraced gardens, fountains, bronze and marble statuary imported from Europe, along with an awe-inspiring 12th-century Augustinian cloister, shipped piece-by-piece from France. The grounds provide the perfect backdrop for celebrations, including destination weddings, with guests feeling as if they have their own private Bahamian estate to themselves for their nuptials. For added ease, the resort recently expanded its team of destination wedding and honeymoon specialists to highlight the wealth of opportunities at the resort for special affairs of all kinds. A freshwater pool overlooks the resort’s famed terraced gardens for guests’ enjoyment, separate from a dedicated family pool, complete with waterfalls and a jetted fountain. The property’s popular KidsOnly program offers young ones unique off-property excursions, as well as on-property interactive activities such as pool games, arts & crafts, video and board games, computer time and more. 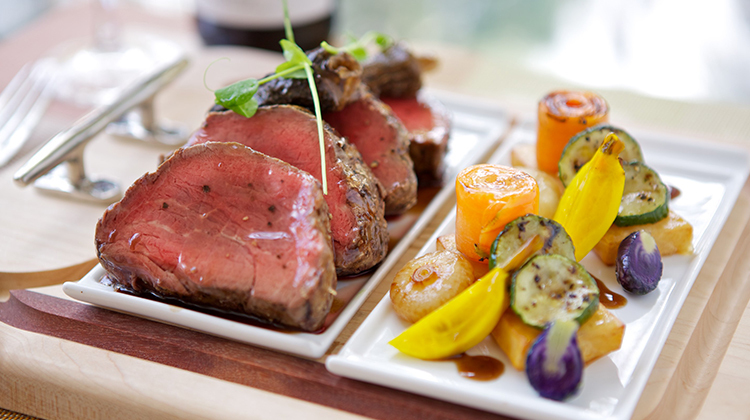 Children can also experience a culinary academy with One&Only chefs and learn tips from golf and tennis professionals. The KidsOnly program is complimentary to guests, with off-property excursions at an added cost, while the property also offers a professional babysitting service to give adults the freedom to enjoy their evening events. Guests of the resort should be prepared to feel endlessly pampered at this tropical oasis, with a host of superlative touches while relaxing at the pool and beach – such as frozen grapes, cool lemonade and cold towels. Visitors can also get a personally drawn bath with rose petals and votive candles in their rooms, special dining arrangements under the stars or on the beach, and the resort’s signature champagne and chocolate-covered strawberries delivered every afternoon. 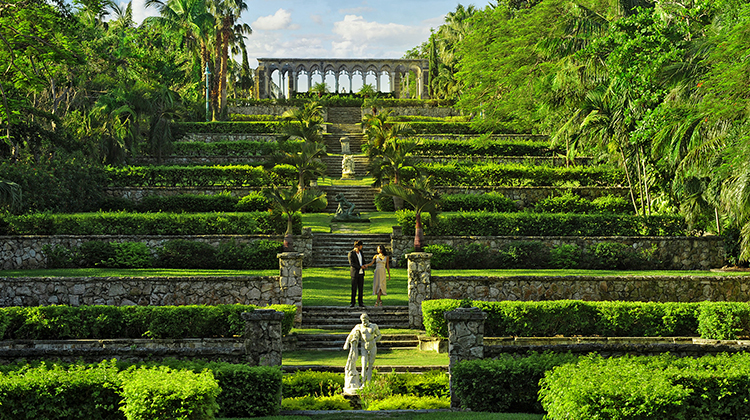 With a seemingly endless list of high-end offerings and immaculate grounds, it’s no wonder discerning travelers still flock to this piece of paradise on the aptly named Paradise Island, just as the likes of William Randolph Hearst, Zsa Zsa Gabor, Benny Goodman, Burl Ives and a host of dukes, earls and ambassadors have for decades. For more information, visit www.oneandonlyresorts.com.